I think that supervisors, managers and directors first need to understand what kind of decisions they need to make and what information is really necessary to do that . Most of the times they have more information than needed since they prefer to play it “safe” and have more information than what they can actually diggest thinking better more than missing. 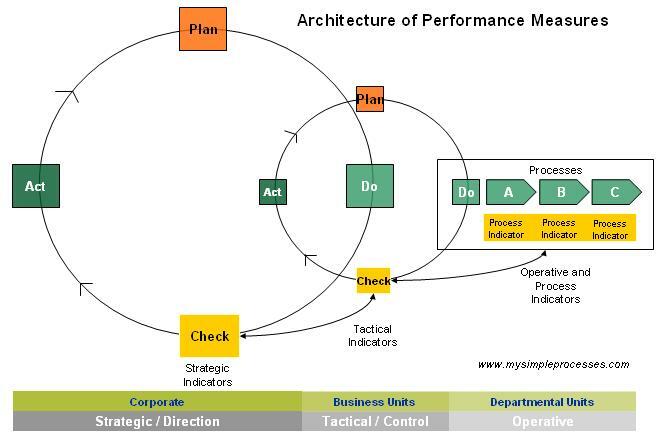 So in order to get the right amount of KPIs that will allow operations, management and direction to make decisions they need guidance on how information can be distilled and presented in a way so they don’t have to dig into tons of values and results in order to get what they really need.